Yesterday as we were cleaning up the basement, I found an old Kodachrome box filled with 50-year old newspaper clippings. They were clippings of my Dad’s articles and photos from the time he was a reporter and photographer for The Globe in the 1950s and 60s. My Dad never talked about his days with The Globe much. He was more likely to talk to you about the Blue Jays or the weather. But as I gingerly read each faded newspaper clipping, his life work washed over me and I marveled at all the famous people he met and photographed, from prime ministers and celebrities to royalty. A Cosmopolitan View of a Cosmopolitan Centre (shown above). Dad had close ties with the Canadian International Air Show. 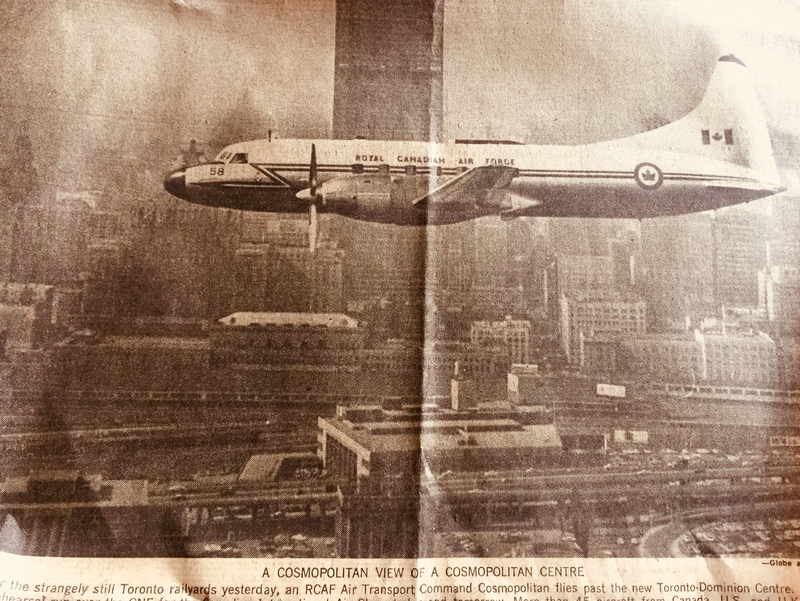 For this picture, he must have been in the air and snapped this shot of an RCAF Air Transport Command Cosmopolitan airplane flying “past the new Toronto-Dominion Centre” highlighting a very different Toronto skyline from what it is today. The Vietnam War monopolized headlines in the late 1960s. 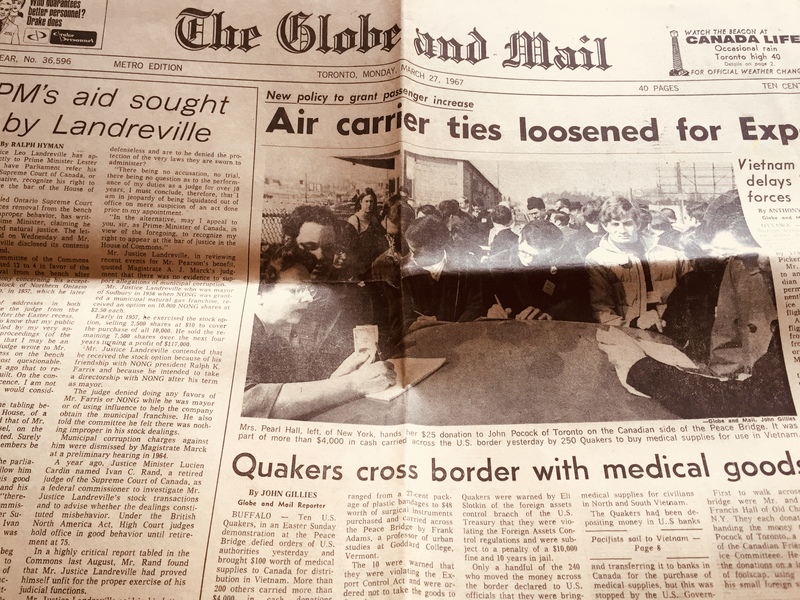 This photo was of US quakers who defied US authorities to carry medical supplies across the border into Canada to send to Vietnam. I grew up minutes from Port Credit Go station and passed through the tunnel to get to the other side of the tracks almost daily. 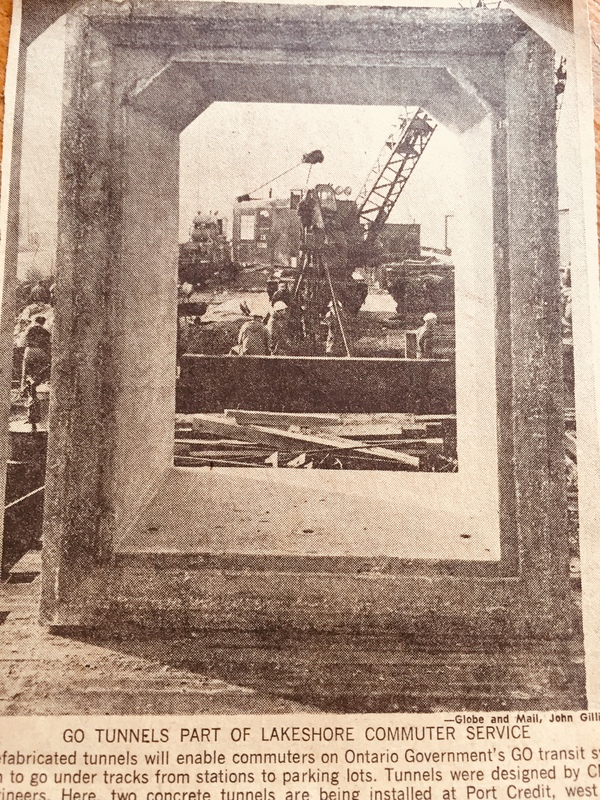 This is a picture of the prefabricated tunnels they installed in the late 1960s. 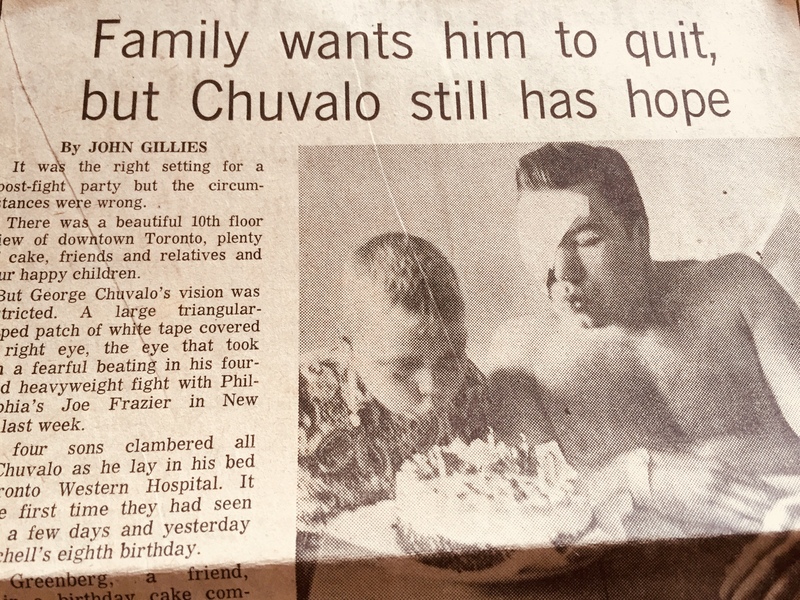 This picture of five-time Canadian heavyweight and two-time world heavyweight boxer champion George Chuvalo with a patch over his right eye was taken after losing a heavyweight fight to Joe Frazier in New York City. 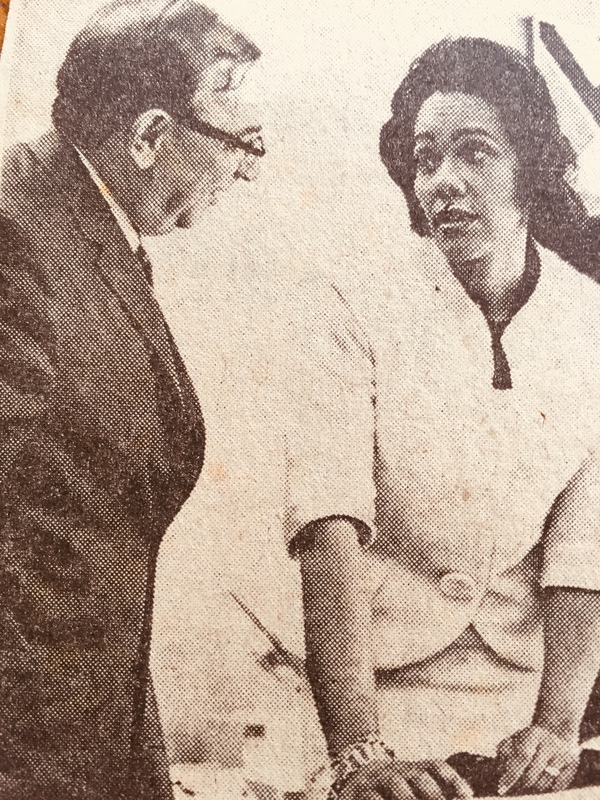 Coretta Scott King, the wife of Martin Luther King Jr speaks to Toronto controller Herbert Orliffe at a reception at Toronto city hall. 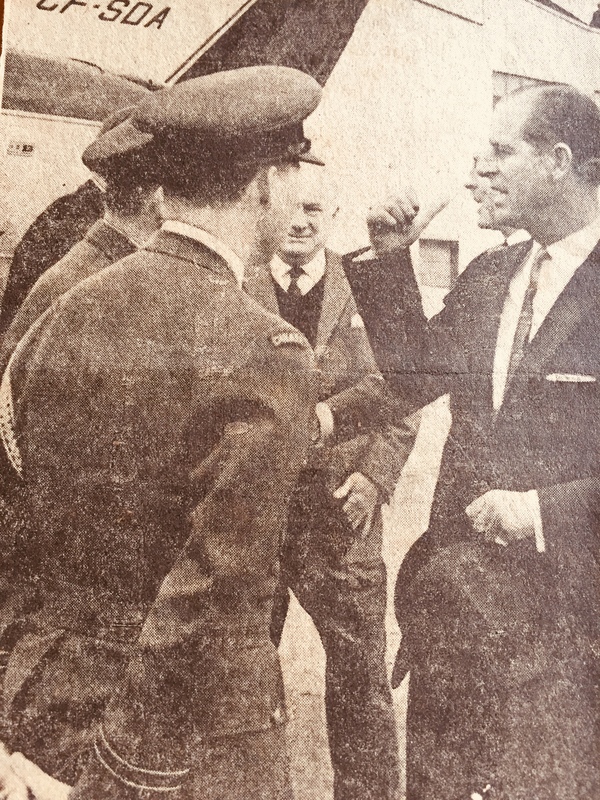 Prince Philip chats with RCAF officers on his arrival at Trenton yesterday. The Prince piloted the British built jet (background) on flight from New York lasting an hour. 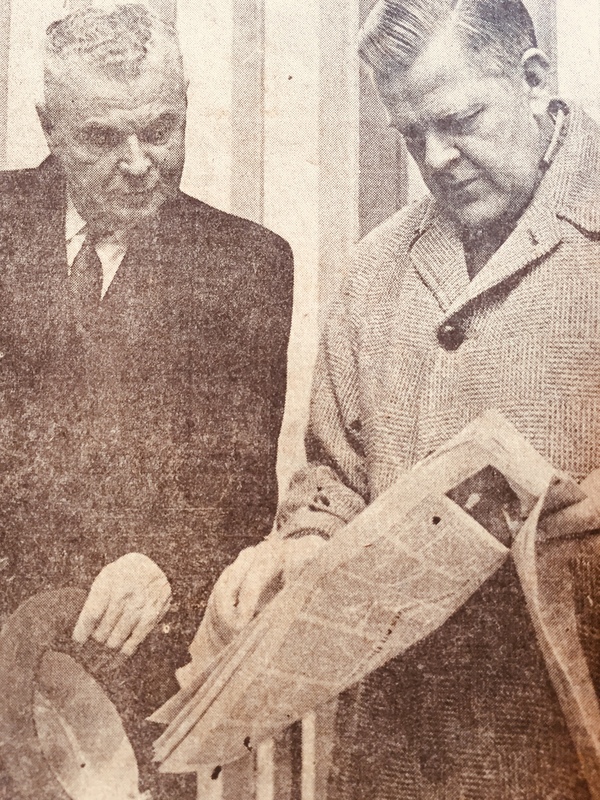 On his way back to Ottawa after fishing trip to British Columbia, Conservative Leader John Diefenbaker confers with Davie Fulton at Toronto International Aiport. Crooner Bobby Vinton. 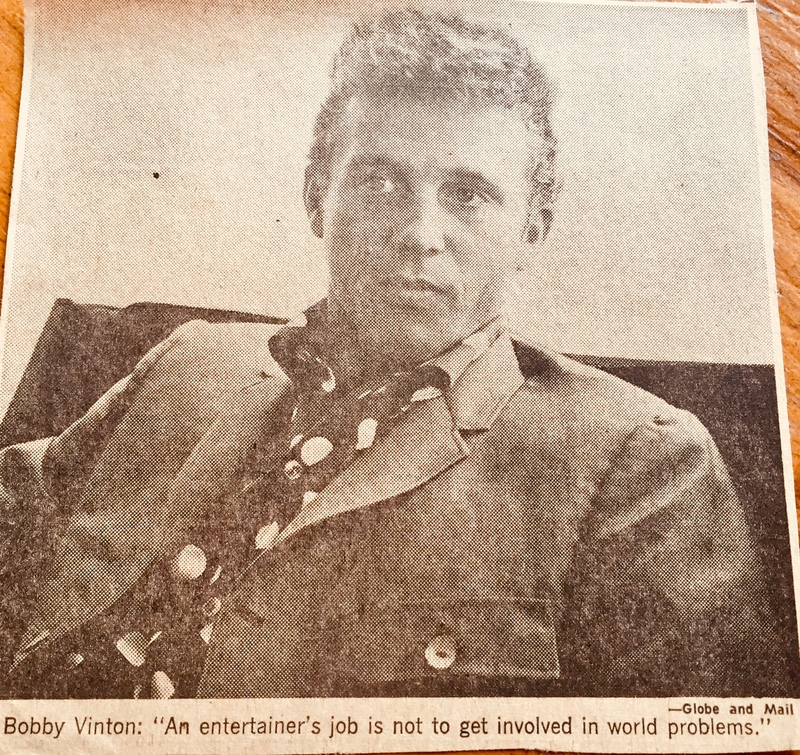 In the caption, Vinton is quoted as saying “An entertainer’s job is not to get involved in world problems.” How times have changed. There was one photo I wish I had to this day. I remember my Dad showing it to me. It was of the Beatles when they landed in Toronto in either 1964 or 1966 when they played at Maple Leaf Gardens. Dad photographed them for The Globe, but gave the photos to some teenage girls who lived up the street from us. Oh, but what I would give for those photos today. Thanks for the trip down memory lane into Toronto the Good’s past, Dad. Miss you.